House of Hope gets the honor to have Estefania Layseca as the new Director of House of Hope. House of Hope has had the blessing to see her spiritual growth through the past years; first, coming as one of the girls of HOH in 2010, then as Coordinator and now as our Director. It is a huge privilege to hear her story as well as pray for her new position as a director and as well as a wife. She is getting married on March to Alfredo Torres and it is our desire that God will bless her marriage, her new leadership role and every area of her life in powerful, amazing ways! What it means the support of Kerry as President of VFC and Daniel as Executive Director as you step in this new leadership role? Both people are very important to me and therefore, their opinions are very important in decision-making. I thank God for being able to count on them and their trust, because when working from a long distance their trust is what counts the most. I am crazy in a good way, trust God always and believe in Him with all my heart. How was your experience as a girl at House of Hope? God has such a sense of humor, because I was welcomed just when an earthquake touched Chile in the beginning of 2010 so it was a good welcoming to start. I came to the House of Hope because my parents had complications economically and I felt from God it was the best decision. I was 23 years old and I was the older girl from the girls in the house. It was a wonderful time spending time with these girls and very blessed. What have you enjoy the most of being part of HOH? I love my community and I trust God. It changed my life entirely being here. When I got the opportunity to serve, take care of people, think less of me and more in others, I realized that I enjoyed it a lot and gave me a whole new meaning in ministry. Because that is God’s love and something that changed my life is to see God’s love in action. He loves me even when I am weird or in stressful situations, He loves me better than anyone. In this place I have the opportunity to share God’s love to them. As a coordinator what has been one of your challenges and as well as greatest satisfactions? One of my challenges has been to be able to understand well how to balance my role as leader –authority figure where we are a family but not friends. I want to be an example of Jesus as a facilitator, guidance and an authority role in order for them to respect the rules and they can feel they are part of a family. The greatest satisfactions is being able to do things with excellence and seeing that things are getting done even when is tough; because makes their lives better and my life easier. As the new Director of HOH what are your expectations in this year 2018 that God will do through you as you serve Him and the changes you want to see? My desire is that the girls are able to experience God for who He is and as a real friend; that is something I am praying now and is something that may happened now, or in the future. It is in God’s timing. I want to be an instrument and be used for God’s glory. Previous Post Next Trip to Chile!!! 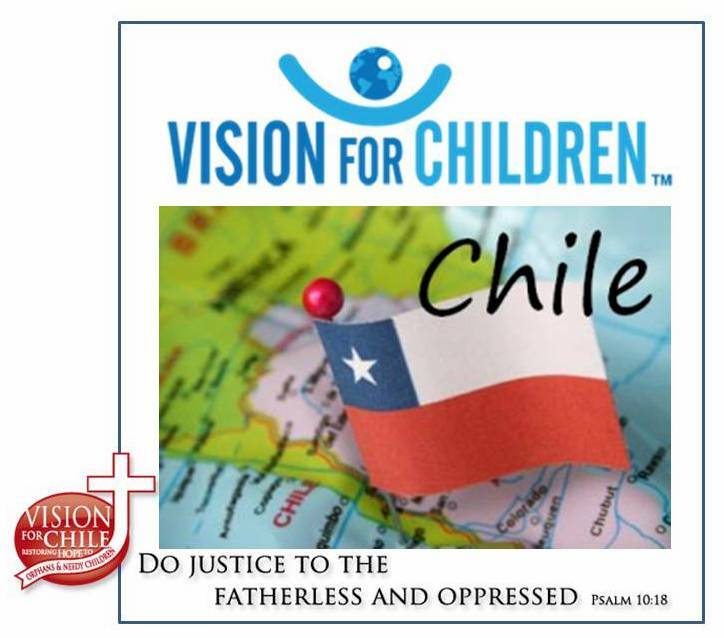 Next Post Meet our Executive Director Vision for Children-Chile!